Sharon Drew Morgen » Why don’t you get a new plumber? By the time I got to my place (it’s my second Austin home – my country think-house), there was no water (went through 20,000 gallons of water, but who’s counting – except that it’s around $100 per 500 gallons to purchase, and we get very very little water here) – the UV light was out ($100 annually, and I had recently purchased it), the pump ($750) was making weird noises, and there was no water pressure and no water. No water to drink; no toilet and no washing facility. And my pond/fish need water. I called the local water/rainwater collection folks and told them of the problem. It took them a few days to get back to me. And then I had a long conversation with my vendor. He called back to tell me that another guy was going to come out and take care of the problem. I spoke with the new guy, explained the problem again, and we arranged a date. I thought we were fine. But I dropped by there yesterday and nothing was fixed. SDM: Great. Do you have the UV light in stock? SDM: Um. I thought I had discussed the whole problem and all of the factors involved, including needing a new light, pump issues, and filter issues. Did you not remember our call last week? Would you like to go over it again? I never mentioned burst pipes. SDM [with no other vendors to call as it’s a very very unique problem]: Um. I’m sorry you’re exhausted. So I had to coddle him, profusely empathize with his tiredness, and make nice nice nice. But I was soooo annoyed. This is a vendor for god’s sakes! Why didn’t he take care of his own tiredness? Why did I have to take care of him? This is going to cost me a whole buncha money, I had nothing to do with this (I hate when I’m a victim! ), I have no other choices as to who can take care of this, and I’m already p’d off. I’m already eating crow cuz I can’t tell my ‘helpful’ neighbor, I have no other vendor to call, and I am stuck without water. Why do I also have to coddle a plumber? we don’t usually think much about our plumbing-until something goes wrong. If we are having a problem or are considering replacing some of your pipes or perhaps your water heater, it’s not a bad idea to check into what technology has to offer these days. 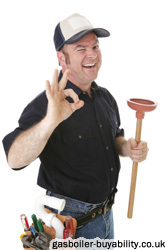 Ask the plumbers you are considering if they can install and service all types of water heaters including gas, electric, propane, tankless, commercial, power vents, direct vents, and direct power vents. And look for a firm that provides detailed cost estimates, with no hidden charges or resulting change orders. Thats a pretty shocking story to be fair! I cant believe that was the response you got! My god what is wrong with people these days. You need to go the extra mile just to get someone decent!